Raised in a desperately poor village during the height of China's Cultural Revolution, Li Cunxin's childhood revolved around the commune, his family and Chairman Mao's Little Red Book. Until, that is, Madame Mao's cultural delegates came in search of young peasants to study ballet at the academy in Beijing and he was thrust into a completely unfamiliar world. When a trip to Texas as part of a rare cultural exchange opened his eyes to life and love beyond China's borders, he defected to the United States in an extraordinary and dramatic tale of Cold War intrigue. 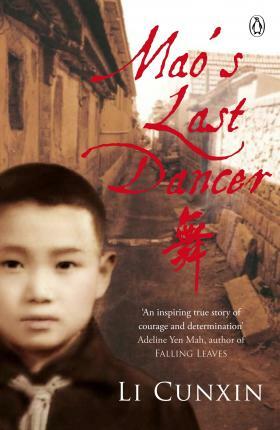 Told in his own distinctive voice, this is Li's inspirational story of how he came to be Mao's last dancer, and one of the world's greatest ballet dancers. Li Cunxin was born in a village near the city of Qingdao, northern China, in 1961. At the age of eleven, he was chosen to become a student at the Beijing Dance Academy. After attending a summer school in America, he defected to the West and became a principal dancer for the Houston Ballet. Li now lives in Australia with his wife and their three children.